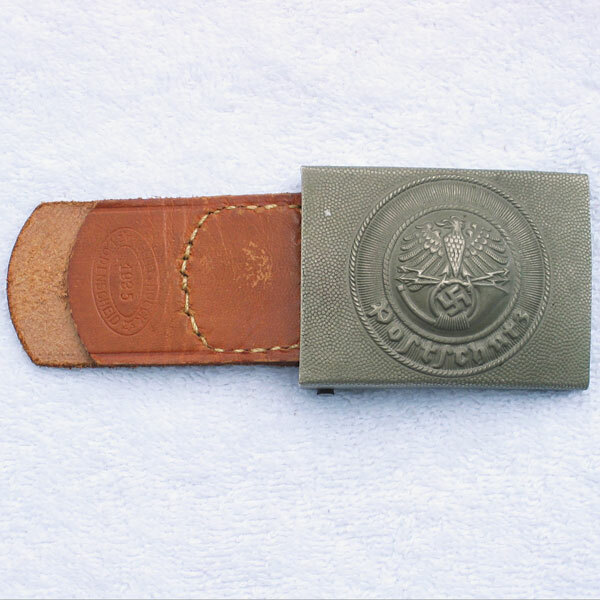 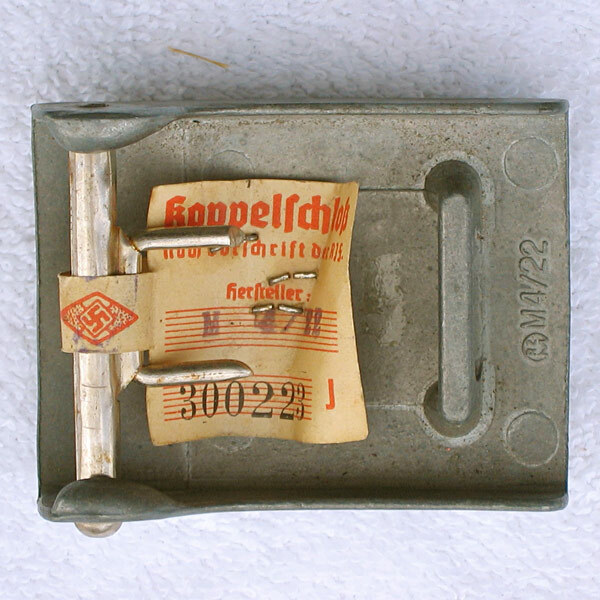 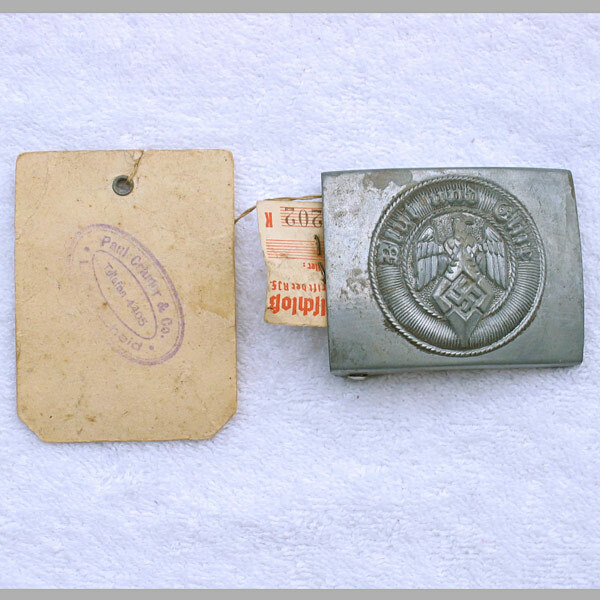 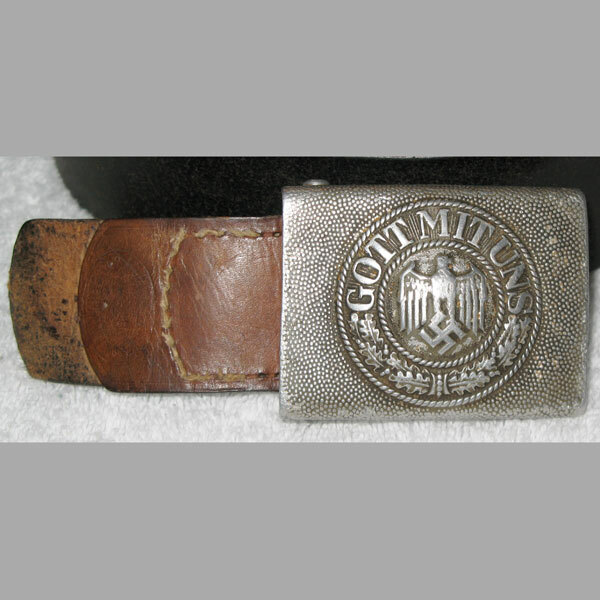 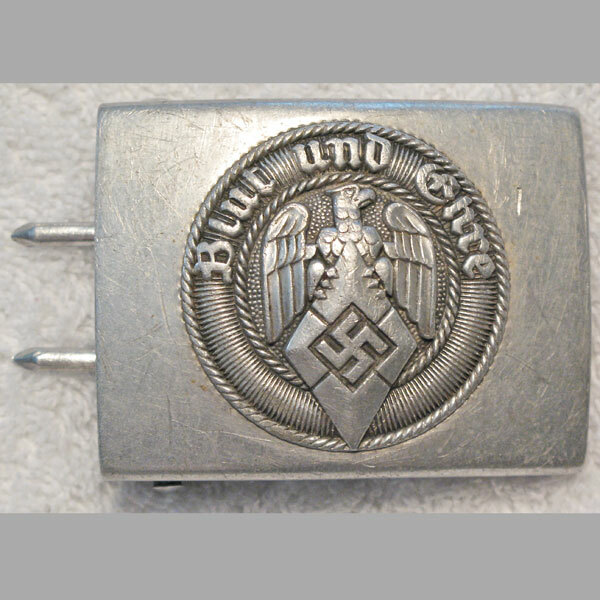 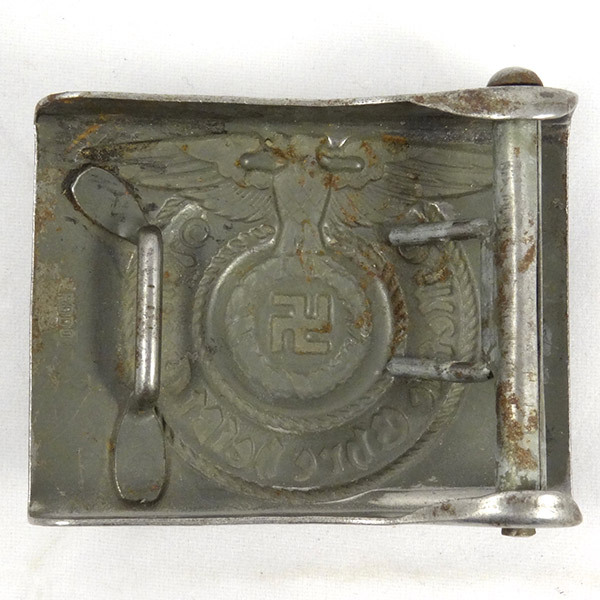 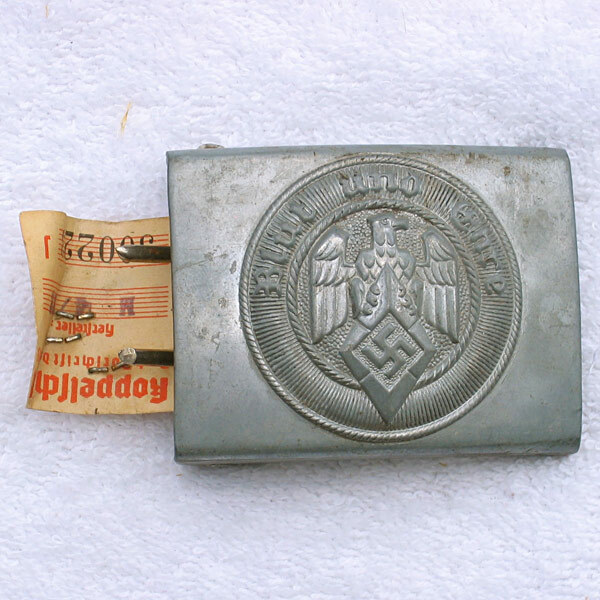 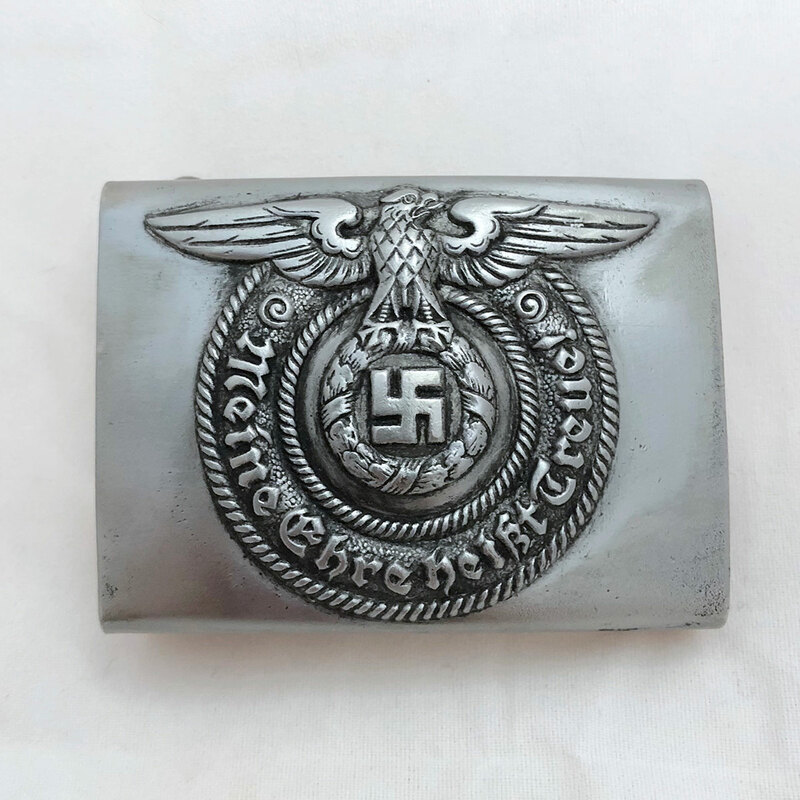 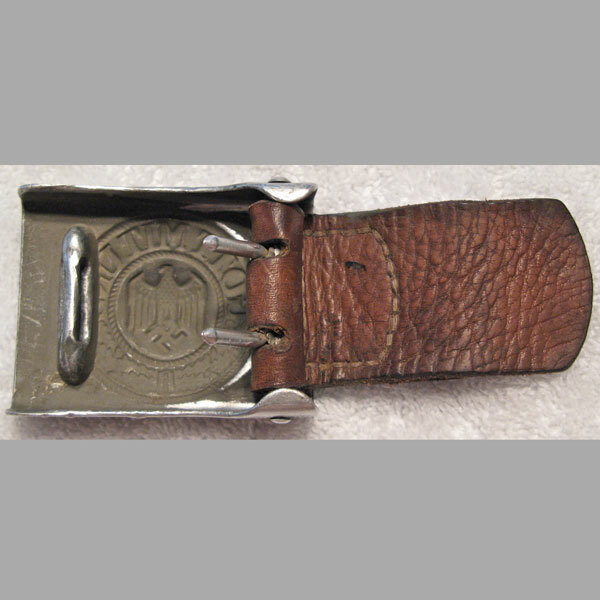 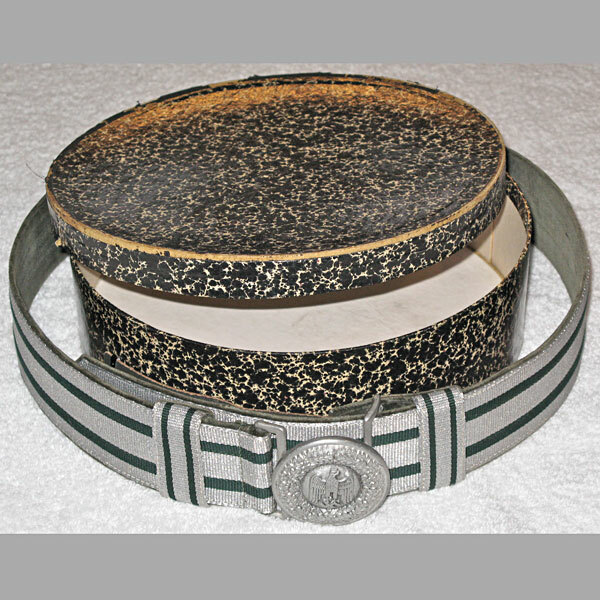 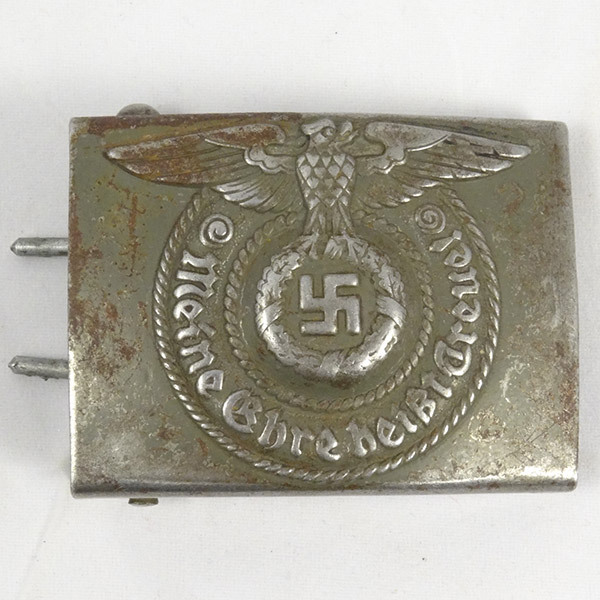 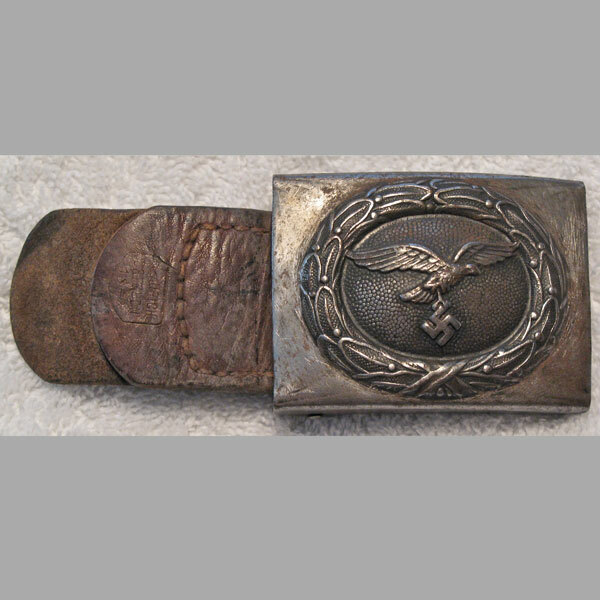 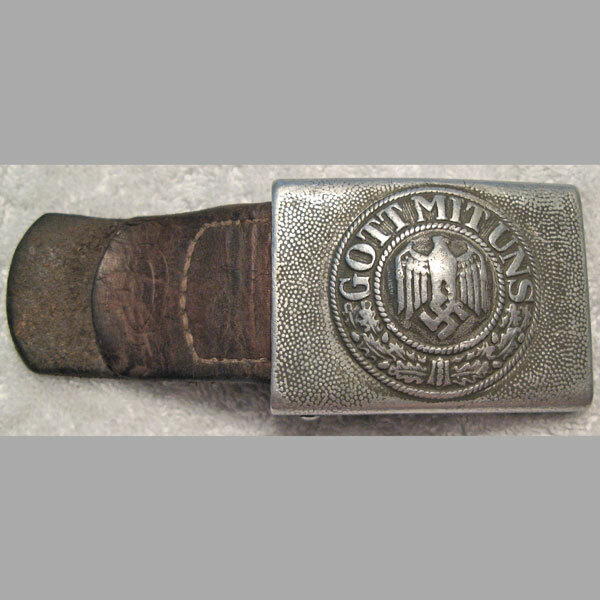 An ultra-rare WW2 DAF prototype belt buckle with leather tab and unique wax seal tag by Overhoff & Cie, Ludenscheid. 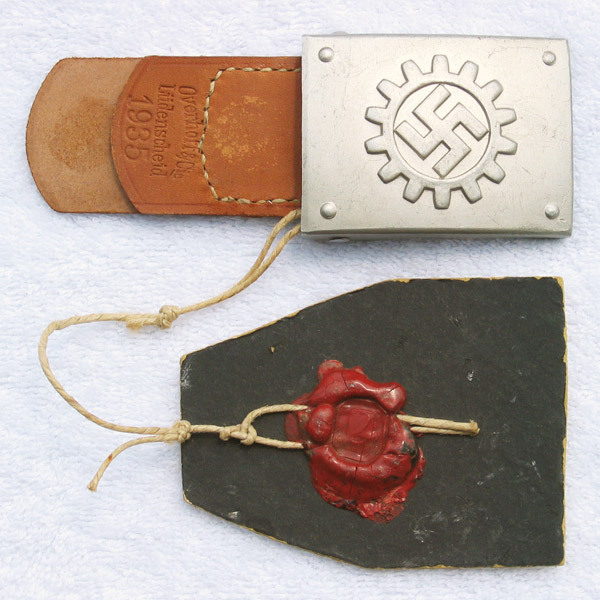 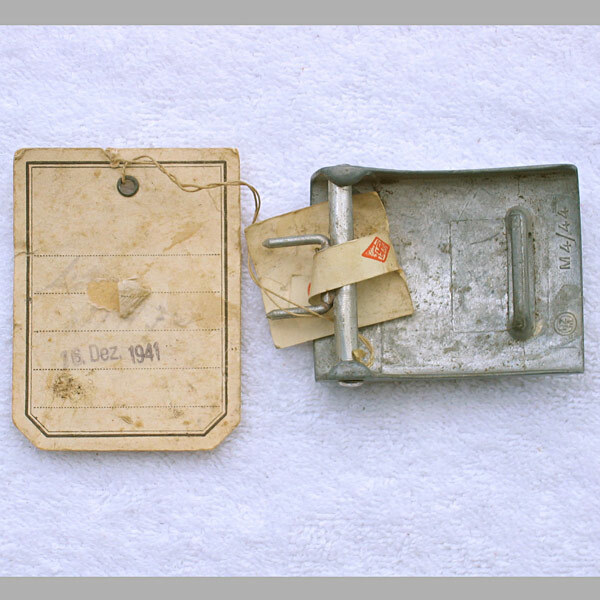 One side of the tag card has a wax seal attaching the string to the card, and the card to the buckle. 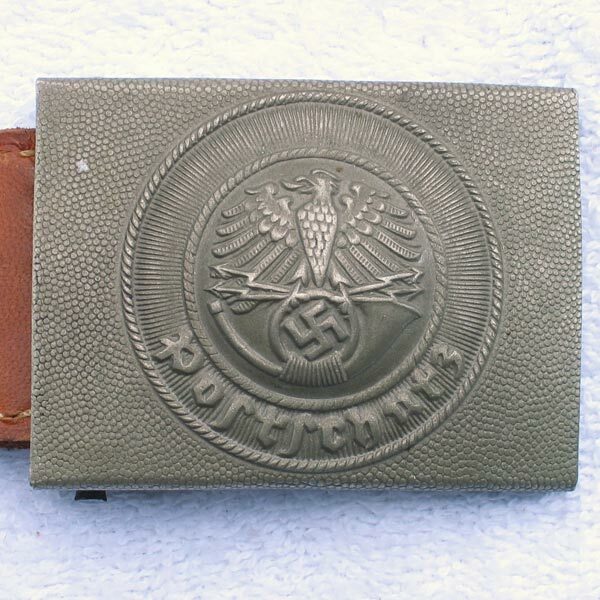 The reverse of the card has some handwritten words (in German of course), along with the Ludenscheid stamp at the bottom. 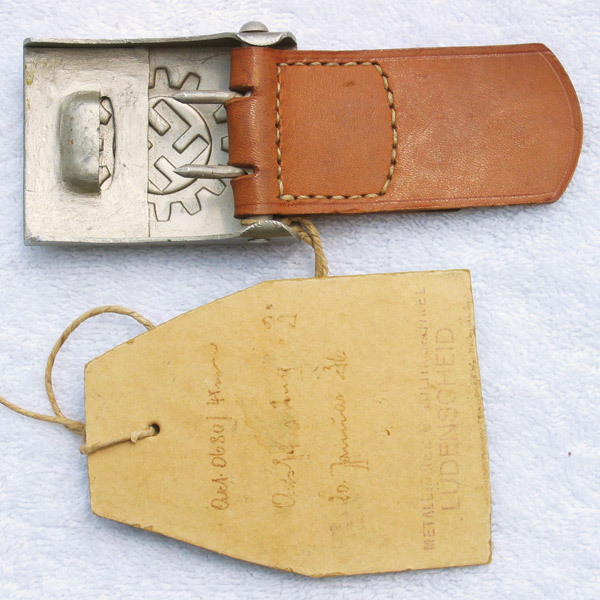 Unfortunately time has caused much of the writing to become faint, but it is still very much legible. 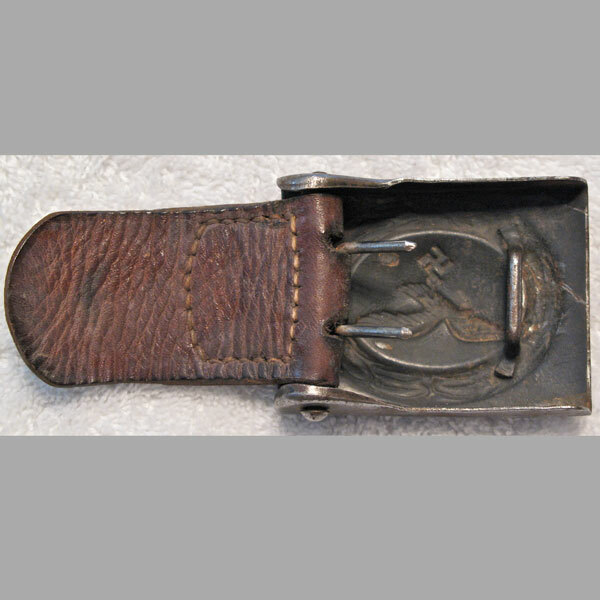 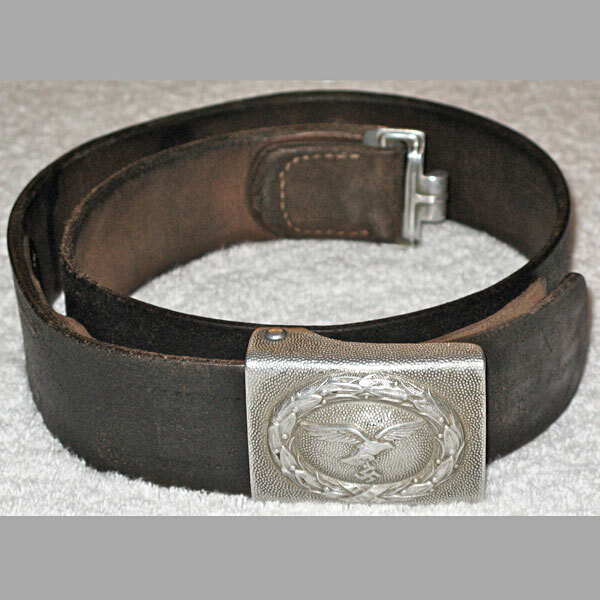 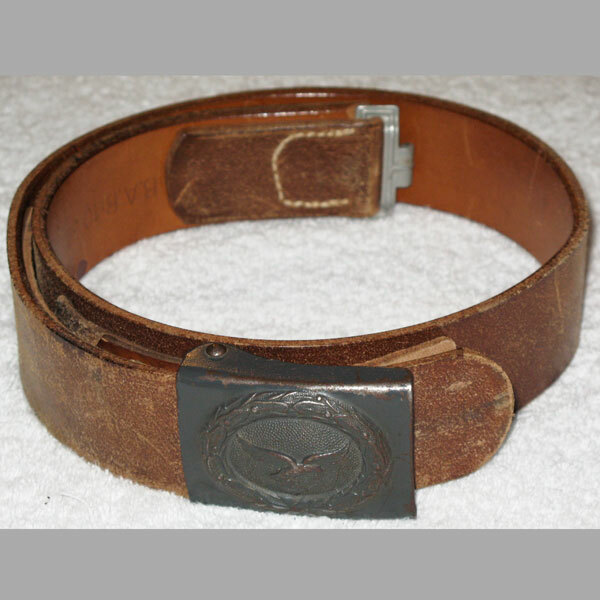 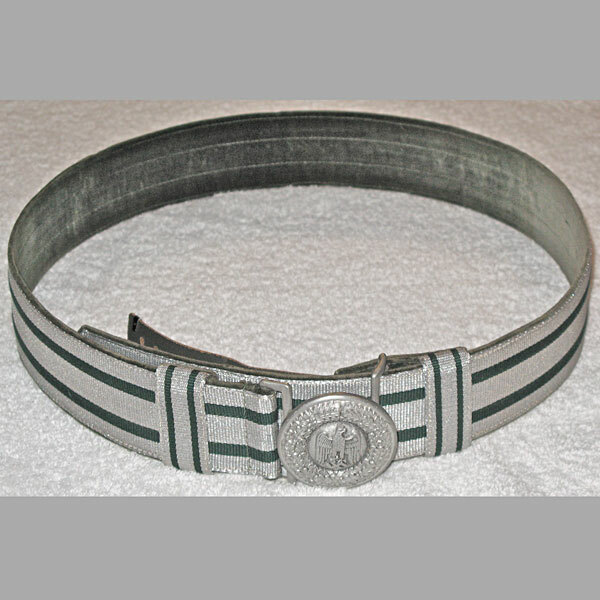 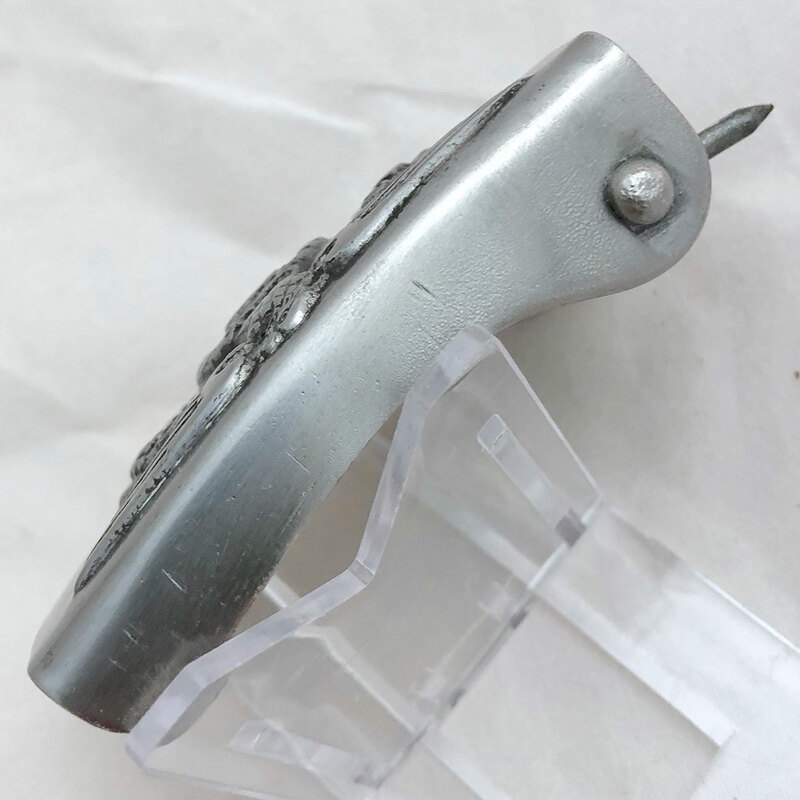 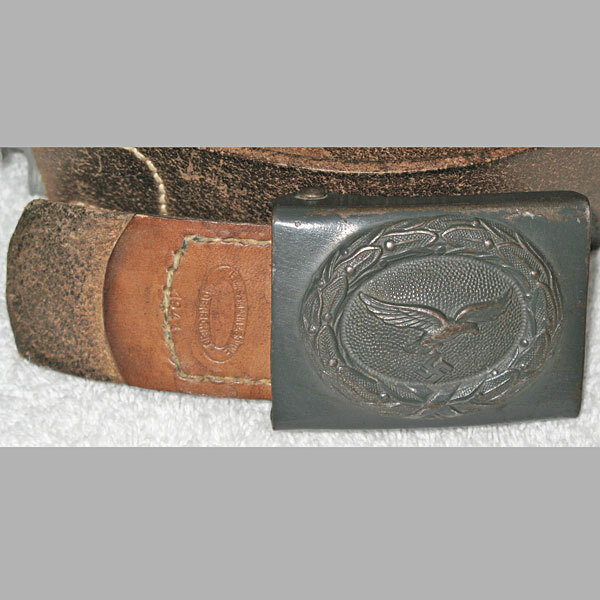 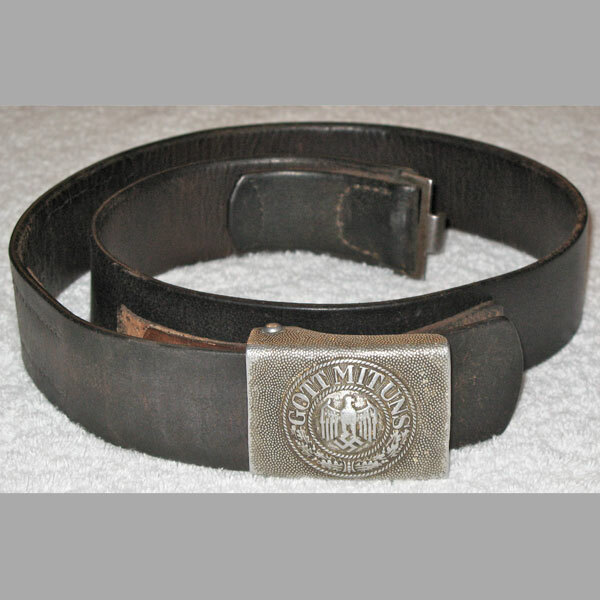 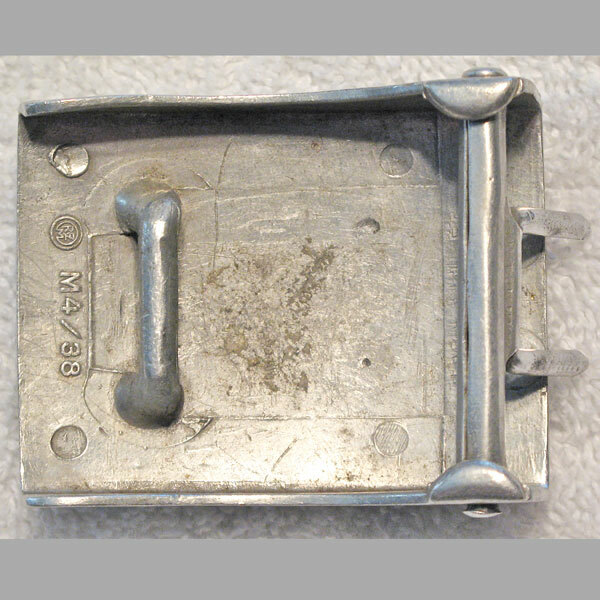 The buckle condition overall is just shy of Mint, with only very picky flaws. 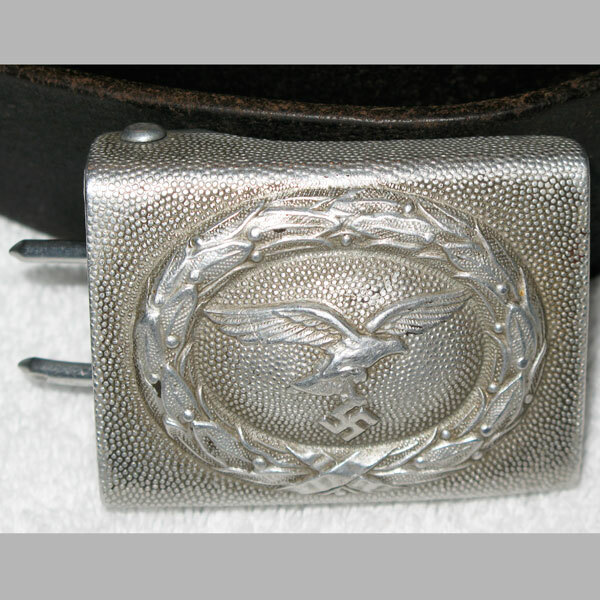 A truly unique and rare buckle all things considered.